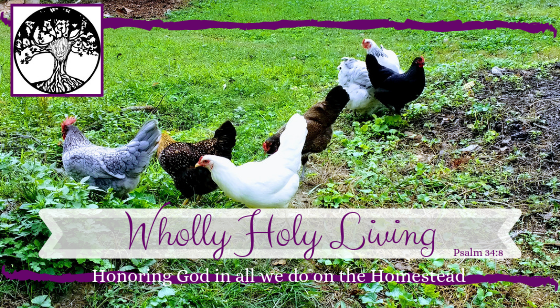 Not only are we seemingly 5 steps farther from our homesteading goals for this year, we’ve run headlong into problems that constitute the need for emergency repairs. We had an emergency roof repair that cost us every bit of our “goat money”. The fascia board had pulled away from the house exposing rafters in the attic space. Eew. So that had to be fixed. Earlier this weekend, my husband discovered a leak under the kitchen sink which we had replaced about a year ago. My husband fixed the leak at the sink, but as it turns out, the leak was more like a flood. The water has been running, unknown to us, down into the basement for who knows how long. The issue is compounded by the fact that all the piping is really ghetto-rigged and the kitchen pipes are connected to the exterior spigot, is connected to the washing machine spigots, is connected to random pipes that no longer function… And, it’s all galvanized, AND the pipes in the basement have all been covered up by the previous owner’s shoddy attempt to “finish” the basement… Which may have been done in an attempt to hide or cover up damage and disrepair. For example, the toilet wouldn’t fit in the remodeled bathroom, so they just cut a hole in the drywall to accommodate the tank… wonderful job. That said, we knew when we moved in it would be a fixer upper, we were just ignorant as to the full extent of the issues. So we’re now engaged in a full plumbing overhaul which needed to be done eventually anyway, but which has now been moved to the forefront of our to-do lists. The water has actually resulted in a ceiling collapse in one of the basement closets. My husband is currently downstairs with a hammer Knocking out wall and ceiling to assess the extent of the damage and locate the problem pipes. I suppose in times like this, I really just need to trust God and be thankful it isn’t worse than it is. I still have a home. And thank the Lord, it hasn’t completely fallen down around us. AND the bedrooms are functional, AND the toilets are functional, AND we have electricity. And WiFi! Yeah, things could definitely be worse. God has provided perfectly for our needs in the past. And even now! I didn’t want to spend money on a roof repair. I wanted to spend it on dairy goats. But, I needed to fix the roof. God made sure we had what we needed. And for that I’m grateful.